CBS News San Francisco recently did an in-depth report on The Paleo Diet. In this informative five part series, Kim Mulvihill, MD of CBS HealthWatch follows The Paleo Diet for just two weeks with remarkable results: reversed insulin resistance (insulin resistance precedes the development of Diabetes 2), reduced blood pressure, and reduced LDL (the bad cholesterol). Dr. Mulvilhill also lost 30 pounds by continuing to eat a diet of lean meats, fish, vegetables, fruits nuts and by eliminating all dairy, grains, beans and processed foods (a.k.a. – The Paleo Diet)! How Realistic Is Caveman Diet At Home? 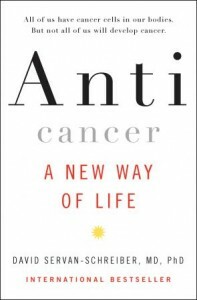 My husband recently finished reading “Anticancer – A New Way of Life” written by David Servan-Schreiber, MD, PHD. After being diagnosed with brain cancer, Dr. Servan-Schreiber began a 15 year journey investigating the latest research on how best to fight and prevent cancer. Early in his investigation he discovered that we all have cancerous cells residing in our bodies. Yet, only 1 out of 3 people will die from the activation of these deadly cells. Anticancer is an accumulation of his research which surprisingly explains the role both food and stress play in the growth or inhibition of cancerous cells. 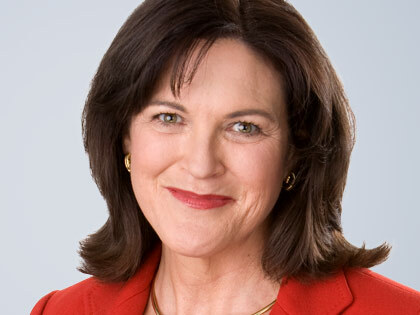 Although my husband and I are personally aware of the health benefits associated with The Paleo Diet (see “Robb Wolf: Paleo Nutrition Guru), we were pleasantly surprised to learn Dr. Servan-Schreiber’s Anticancer diet recommendations are very similar to those of The Paleo Diet – both of which recommend eliminating all sugars and processed foods from one’s diet. 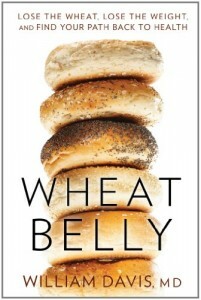 I’m currently reading Dr. William Davis’ latest book titled “Wheat Belly”. William Davis, MD, a cardiologist and author of the The Heart Scan Blog, also encourages his patients to avoid sugar and processed foods. More specifically, similar to The Paleo Diet he recommends his patients completely eliminate all wheat from their diets (yes, that includes whole wheat breads, pastas, cereals, etc). 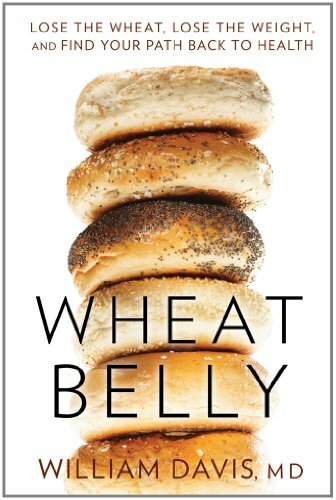 His book “Wheat Belly” is well-referenced and documents the numerous health issues that can be resolved by simply giving up all whole-wheat products: guaranteed weight loss; reversal of metabolic syndrome and diabetes 2; reduction of systemic inflammation; improvement in LDL bio-markers of health; etc. The same health benefits you can also expect when following The Paleo Diet (see “Paleo Talk Resources”)! Dr. Davis discusses how wheat eaten today is very different from the wheat eaten by our ancestors. In order to cultivate crops that will produce higher yields and resist pest (insects, bacteria, fungus, etc), seed companies have now begun altering the actual DNA of plants. For a better understanding of how plants are genetically modified and how these modifications impact your health, I also highly recommend watching the documentary “Food Matters“. Dr. Davis also discusses the high rate of gastrointestinal cancers found in individuals who knowingly or unknowingly have had some form of gluten sensitivity. There is cause for concern when Melissa Smith reports in her book “Going Against the Grain” that 50% of the population is gluten-sensitive. Whole wheat bread is loaded with many anti-nutrients – one of which is gluten. Gluten is known to irritate and damage the intestinal tract (see “Got Leaky Gut?”). Eating genetically-modified plants and long-term wheat consumption by gluten-sensitive individual can result in chronic gastrointestinal inflammation. Could the ill effects of wheat be key in understanding the continual rise of gastrointestinal cancers? …Dr. Davis writes that modern wheat is approximately 70 percent carbohydrate by weight. The carbohydrate is in the form of a starch called amylopectin A.
Anti-nutrients, genetically modified plants, gut irritants, autoimmune issues, obesity, diabetes 2, cardiovascular disease, etc – how many more reasons do you need to stop eating sugar and processed foods, especially wheat??!! This is exactly why I don’t follow the advice of traditional Registered Dietitians. Recently the so called “experts” ranked The Paleo Diet as the least effective diet for losing weight and improving overall health (here). These experts did not do their research before shamefully stating their ill-informed opinions (here). Now folks much like myself who have experienced tremendous success on The Paleo Diet (here) are ensuring their voices be heard or at least their votes be counted. Tamara Abraham reports that readers polled on the US News “Best Diets Overall” ranked The Paleo Diet as the MOST effective of all diets ranked by the so called “experts”! You can read Abraham’s article by following the link below.